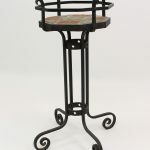 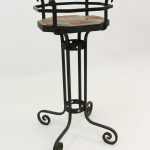 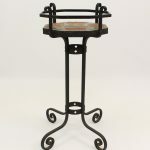 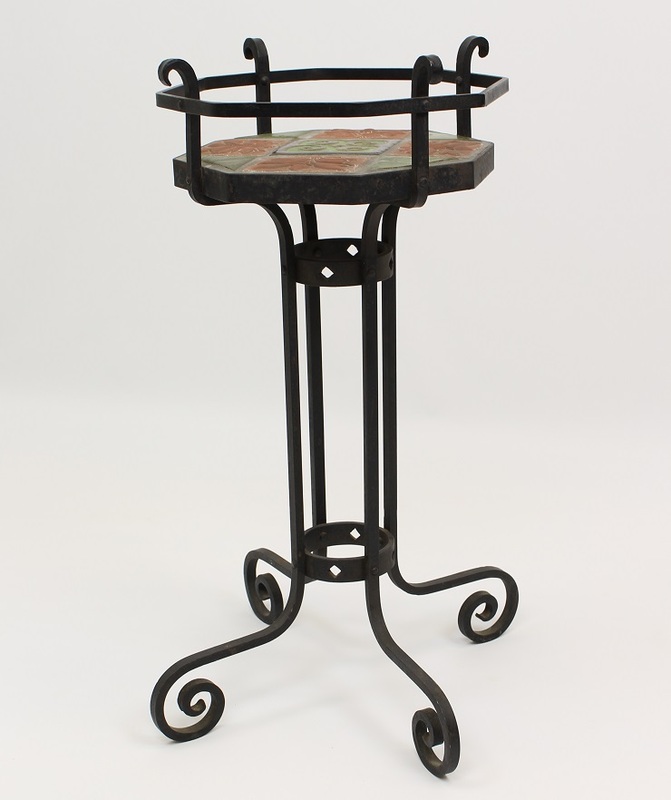 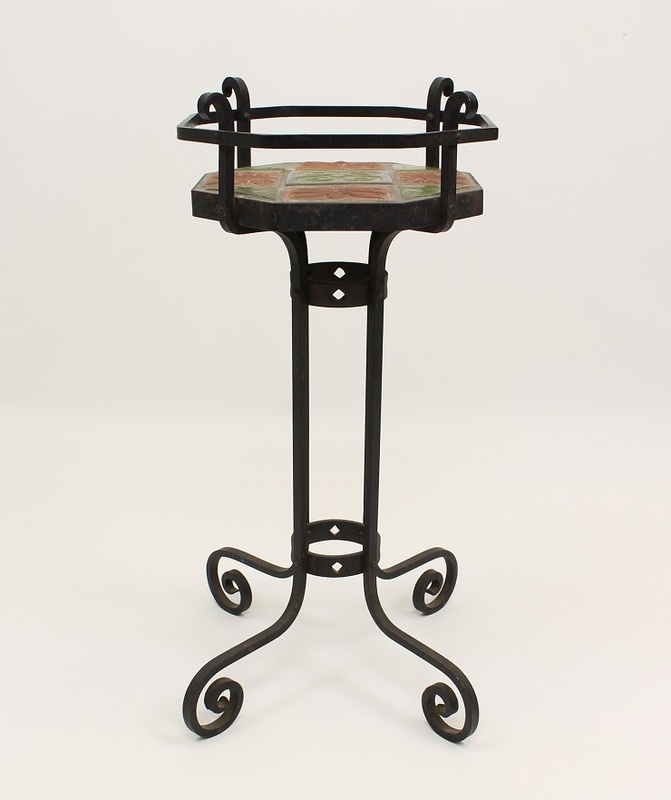 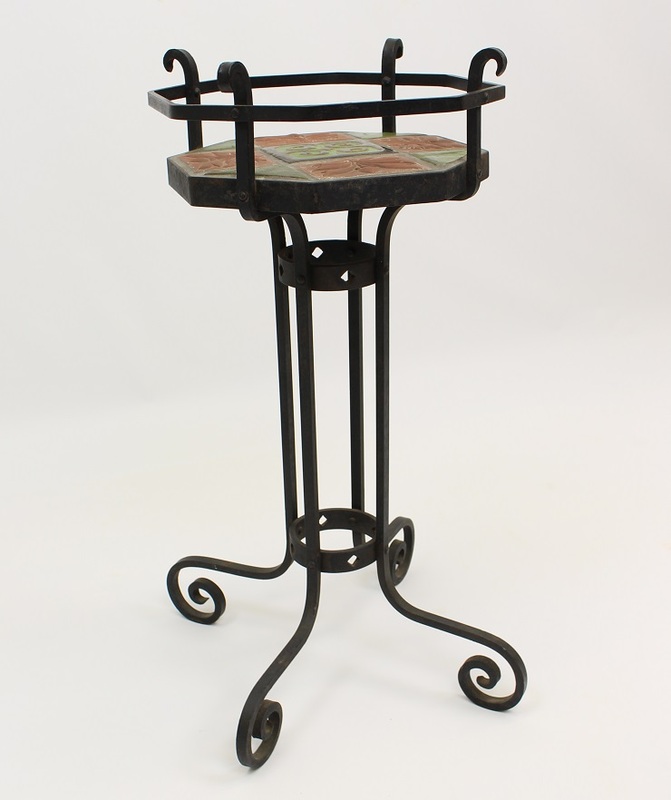 Grueby Tile Top Wrought Iron Stand with diamond cutouts. 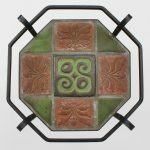 Geometric center tile measures 4.25". 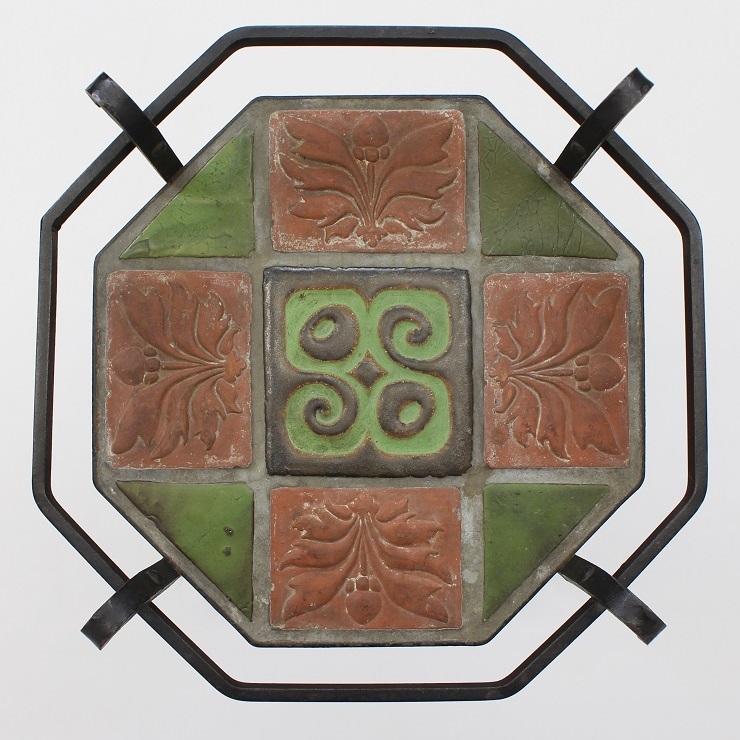 Height 26.5", Width at base 18", Tile top measures 11.5"